We can see clearly in this 2007 Arctic Monkeys Acoustic Session at 102.1 The Edge that Alex Turner and Jamie Cook are using the Gibson J-200 Standard Acoustic-Electric Guitar. In the source photo you can find a Jamie Cook using a Gibson J-200 acoustic guitar. The Edge discussed this guitar in this [*Guitar World* interview](http://www.guitarworld.com/edge-u2-interview-memory-man?page=0,6): "GW 'Love and Peace…Or Else' is a pretty cool track. What are you doing to get that sound right before the solo? It almost sounds like you’re underwater. THE EDGE The whole track is going through a filter, so it’s not just the guitar part. Yeah, the idea was one of rising to the surface. When it came time for the solo, though, I was careful not to be cliché. Playing a bluesy solo is loaded with clichés. I ended up using an acoustic guitar with a slide. GW That’s an acoustic? THE EDGE I swear to you. I tried playing it with an electric and it sounded so off-the-shelf. But miking up the acoustic really made the part stand out in a jarring way. GW What kind of acoustic is it? THE EDGE I believe it was an old J-200 Gibson. Very cool sound. I’m pretty proud of that." In this photo, Noel Gallagher can be seen with a Gibson J-150 acoustic guitar, adorned with an Adidas sticker along the neck near the sound hole. 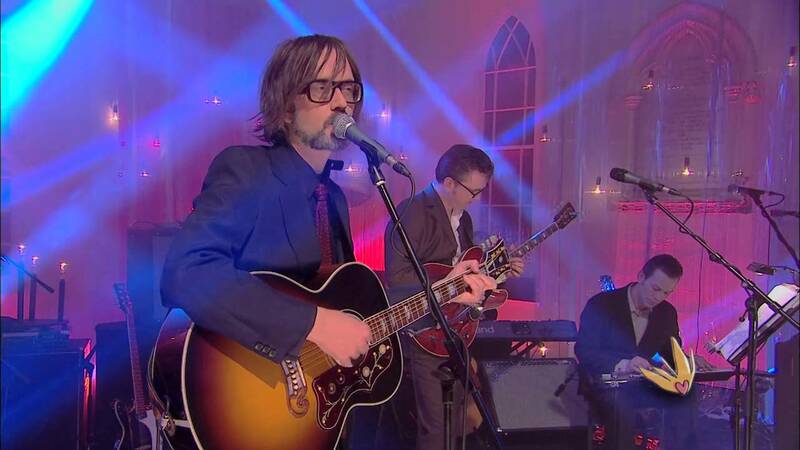 Along with Gibson J-150 he has, he also used this guitar, mainly for semi-acoustic gigs with Gem Archer, and it is visible in many songs like "Slide Away" and so on. This guitar was also used for renditions of "Don't Look Back In Anger", most famously in Argentina, in 2009. Also, this guitar was used for "Wonderwall", also, with semi-acoustic gig in Royal Albert Hall back in 2007. 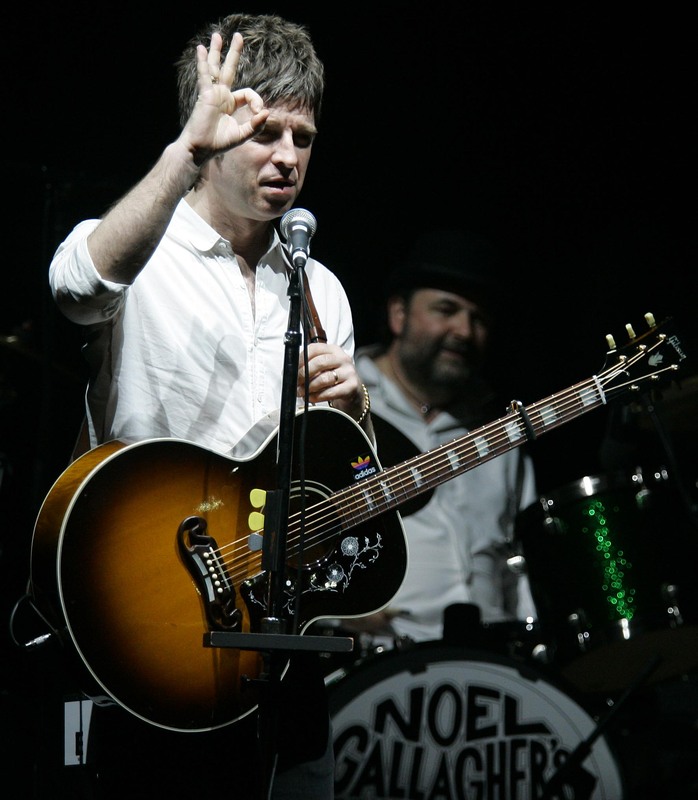 After Oasis' breakup, this guitar disappeared, as Noel switched to Martin D-28 instead. But it didn't disappear completely, because in [this](https://www.youtube.com/watch?v=NI_YAFNTicc) video of Noel Gallagher's High Flying Birds performing "The Death You And Me". Some people say that this guitar was smashed by Liam, when they were preparing for Paris 2009 concert, which never really happened, because that was the time they had an argument and broke up. Justin Timberlake is frequently seen playing a Gibson J-200 Acoustic Guitar in Vintage Sunburst, as can be seen in this video of him performing "What Goes Around... Comes Around." This was Pete's acoustic guitar from about 1968 through the '70s and again almost exclusively since 1996 on stage and in the studio. In this video of Coldplay performing live in Toronto in 2006, Chris Martin can be seen playing a Gibson J-200 Standard Acoustic-Electric Guitar for the song *How You See The World*, which starts around 31:40. Around [32:10](http://youtu.be/2DmDfFpAt6E?t=32m10s) you can see the guitar's details clearly. [32:41](http://youtu.be/2DmDfFpAt6E?t=32m41s) also provides a good view in better lighting. This is an iconic guitar of Sascha's because it's got many different stickers on it and he uses it a lot for stage work. In the sixth paragraph, this [article](http://www.vintageguitar.com/8466/ron-wood/) from Vintage Guitar magazine explains that Ronnie Wood's acoustic guitars "include a Gibson J-200 and a Zemaitis adorned with silver." Bono can be seen in this photo playing a Gibson J-200. In this photo, Brancowitz is visible with tobaccoburst Gibson J-200 acoustic-electric. Throughout this video, Will Champion can be seen playing a Gibson J-200. It can be seen particularly well in the 1:40s. In this photo, one can see Jason White with a Gibson J-200. At 0:42 in this video, one can see Jenny Lee Lindberg playing a Gibson J-200 during a acoustic performance of Undertow on BBC 3 at Reading and Leeds Festival in 2010. NPR TINY DESK concert Paul Weller July 28, 2015 2:03 PM ET Bob Boilen There's a reason Paul Weller is so respected by his fans despite his shifts in musical styles over the years. Weller follows his heart and his tunes stay true to the times and his age. I first heard him in 1977, when I bought a British import of a 45 and later an album, each called In The City, by The Jam. Inspired by The Who, the music of The Jam was infused with urgency and melody. Then Weller wanted more from music and began The Style Council with a bit of R&B, ballads and even jazz. For nearly 25 years, Weller has been recording under his own name. Now he has new songs for us all and an album called Saturns Pattern. Here at the Tiny Desk he brings this humble collection of songs acoustically and includes a tune from what may be his best known record, his 1995 album Stanley Road. It's a pretty heartwarming moment — especially for longtime followers of his shifting but consistent music. In this photo you can see a Gibson J200 in Cradock's guitar rack. "My bandmate, Tim Smith, plays a fifties J-45, a recent issue J- 180 12-string and a J-200." He Used In Los Angeles Wiltern In 26 September 2015 With Brandon Flowers And Played Song "Rent"
On the [Gear page](http://www.billyduffy.com/gear/gibson-j-200-acoustic/) of Billy Duffy's website, he says, "This guitar of mine comes originally from an event in April 2007 at the Empire State building in New York for Mike Peters’ Cancer Charity ‘Love, Hope & Strength’. Mike, Dave Wakling (The Beat), Slim Jim Phantom (The Stray Cats) and I did a hike up the 1,600 steps to the top of the Empire State Building and then played a little gig there. Gibson sponsored the event and let us keep the guitars we’d played on the roof which in my case was a fabulous Gibson J-200." He is seen playing a natural version of this guitar throughout the whole video. Jack Bruce can be seen using a Gibson J-200 in this video performance of "Rope Ladder to the Moon," with a good shot at the beginning of the video. "Ninety-eight percent of them are Gibsons. Everything from old J-200s to Hummingbirds to all the Les Pauls I have. When it comes to writing the rock stuff, I use Les Pauls, because I love the beefy tone to them," according to [this interview](http://www2.gibson.com/News-Lifestyle/Features/en-us/Interview-Corey-Taylor-Talks-Guitars.aspx), Corey uses J-200s. In the image you can see Simon Townshend playing a Gibson J-200. In this image, Cocker can be seen playing a Gibson J-200. The music video of the Traveling Wilburys "Handle with Care" filmed in Oct. 1988, shows Roy Orbison playing a Sunburst colored Gibson J-200 with it's distinctive Fret markings, "Moustache" Bridge, and J-200 pickguard. Good views of the item can be seen at 0:33 and 1:05 into the video. It is not an Epiphone j-200, as the headstock has no visible gold screws in the nut trim piece viewable at the 0:33 mark. At 0:19 in this video of Young's performance of"Hey Hey, My My" at Farm Aid 1985, Neil Young can be seen using a Gibson J-200. 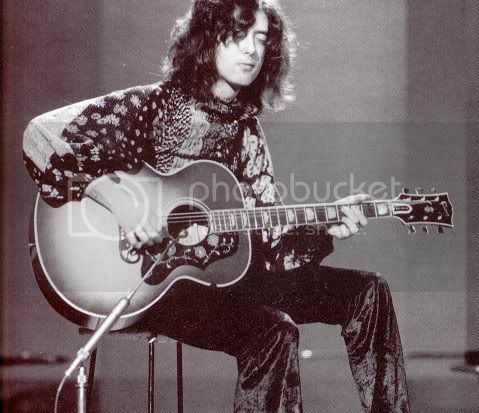 "I have a Gibson J200 that the Custom Shop made for me, a rosewood J200. The Custom Shop still builds some really fine guitars." At 8:49 of this acoustic Queens of the Stone Age performance, Shuman can be seen playing a Gibson J-200. 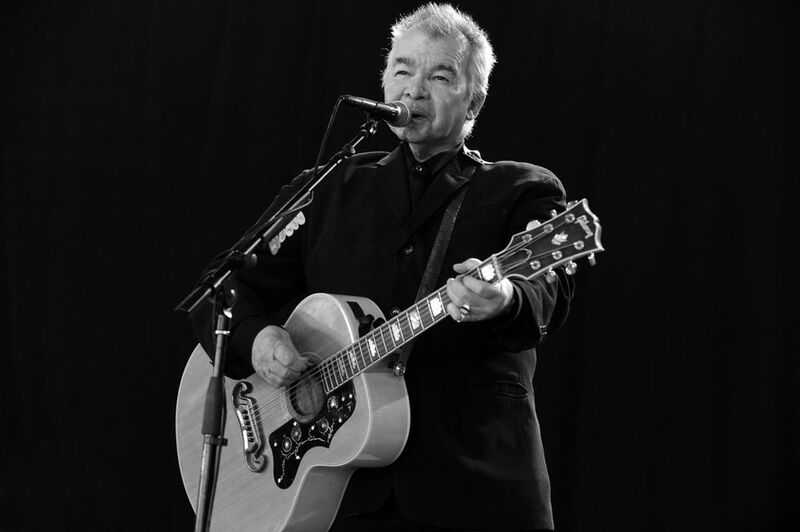 In this photo, Lowe can be seen playing a Gibson J-200. Illsley is featured in this article with a Gibson J-200. In this photo Robert Levon Been can be seen with a Gibson J-200 guitar. Goulding can be seen in this photo playing a Gibson J-200. Lady Gaga plays this guitar (decorated with flowers) since 2013. 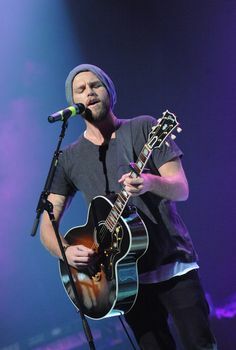 In this image, you can see Joel playing a Gibson J-200 Acoustic guitar at a live concert. @ 1:26 jay plays the J-200 and during the rest of the performance. Thought this video (most notably at :24s), Tom can be seen playing a Gibson J-200. He uses it primarily for songs "Your Eyes Open", "Broken Toy" and "The Frog Prince". Here, Bruce Springsteen is pictured with his Gibson J-200 Acoustic-Electric Guitar. 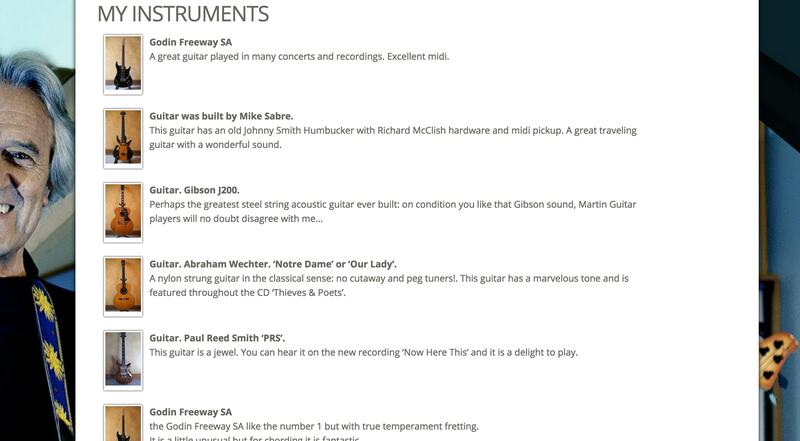 in the top picture of this review you can see George Thorogood on the Gibson J-200 accoustic. He uses this guitar together with the gibson super dove on the album "party on one"
In this video you see Jim on the gibson J-200 while George Thorogood plays his Gibson Super Dove. "'Amid all the power rock, there is one very ’80s power ballad, “Love Is Not the Answer.”' 'That was very layered. Electric 12-strings, Gibson J-200 acoustics played in four different capo positions, core rhythm ES-335, four Les Paul rhythm tracks, a Strat solo, an outro Les Paul solo… It was a chance just to do anything. It’s our idea of those ’80s power ballads. 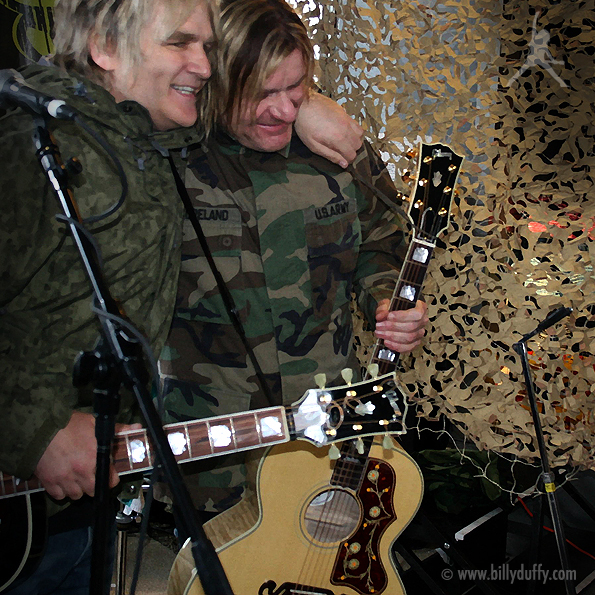 No-one’s telling us what to do, they never have been, so it was guitar overload. For one track, why not?'" reads [this interview](http://www2.gibson.com/News-Lifestyle/Features/en-us/darkness-and-jimmy-page-black-beauty-0823-2012.aspx) with Dan Hawkins. 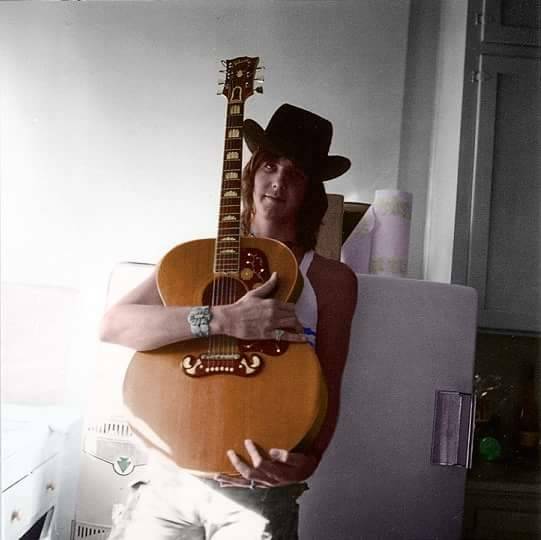 Gram Parsons is pictured here with a Gibson J-200 acoustic guitar. In this picture Fuqua is playing a J-200. Stevens can be seen in this photo playing a natural finish Gibson J200. Yusuf Islam (fka Cat Stevens) on NPR All Things Music Tiny Desk presentation. "Because fingerpicking on a 12-string is a sloppier affair, and I’m really not much of a fingerpicker. 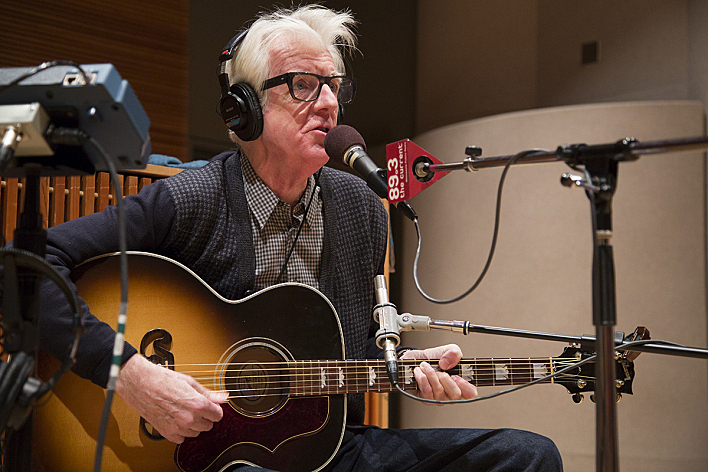 I used a 1991 Gibson J-200, and the Nashville tuning was on a big, blonde Guild F-50 jumbo." In this video, Krummenacher used his Gibson J-200 for song "Autoluminiscent" by Victor Krummenacher and his Flying Circus, for performance done at Vintage Wine Bar and Restaurant in Redding, CA, in 2015. In this photo, Aaron Lewis is seen holding Gibson J-200 acoustic guitar. 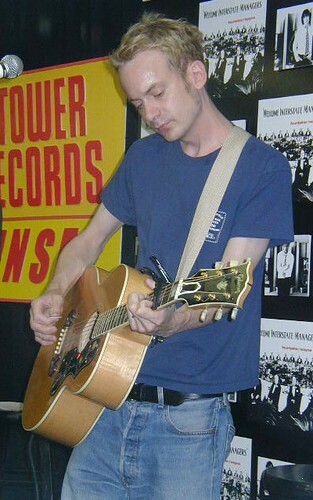 In this Tower Records gig photo, Collingwood can be seen playing the natural Gibson J-200, judging by the tailpiece and pickguard. From Grants gear page on his website. His is a 1976 J200. 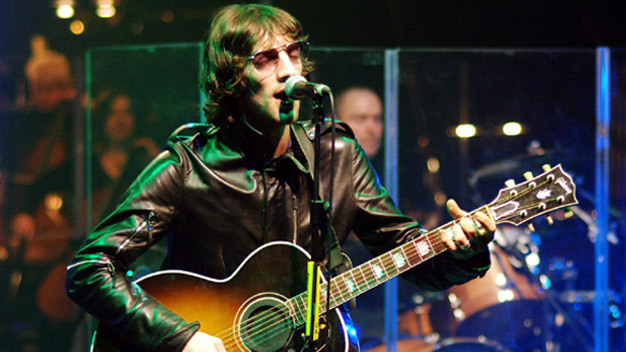 In this photo, Richard Ashcroft can be seen playing a Gibson J-200. Earl used this guitar with Bowie according to this article. This photo of Iggy Pop shows him with a Gibson J-200 guitar. In this Instagram photo, Vic Fuentes can be seen holding a Gibson Super Jumbo SJ-200 acoustic guitar in Antique Natural finish, given to him by his manager. "My manager bought me my dream acoustic guitar to help finish our new album. She's been with us through all the ups and downs since we started this band. Words cannot describe how much I love and appreciate you, Michele. So I'll let the guitar do the talking haha!!" He loves a jumbo body guitars. He used Gibson j-200 with natural finish and fishman soundhole pickup installed for a long time. In this live photo, Anderson can be seen playing a Gibson J-200. In this photo, Zella Day can be seen playing a Gibson J200. Bridges can be seen in this photo with a Gibson J-200. 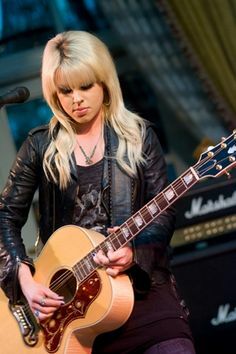 Orianthi is seen here using a J-200 at a performance, clearly identified by the pickguard. 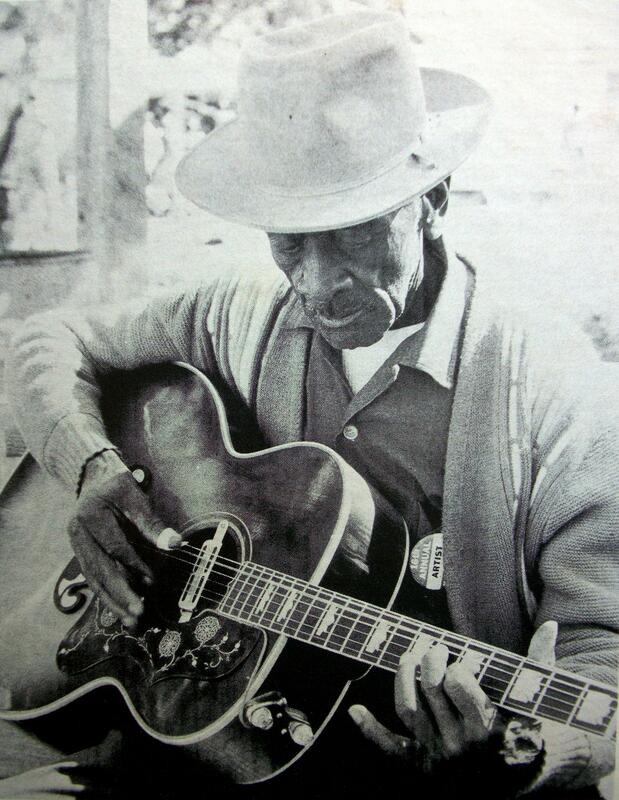 Fretwell can be seen in this image playing a Gibson J-200. According to the Premier Guitar's interview, this guitar is listed under Boorer's stage gear. "He also owns two Fender Stratocasters-a '56 sunburst and a red one from '63-a Gibson J-200 flat-top acoustic that he always takes on the road, a Rickenbacker Bake-lite 6 string lap steel, and a Gibson Super 400 arch-top that he almost never touches." Jason has a custom J-200 with one major battle scar - in early 2016 the guitar took a hard fall in its case at an airport and broke off at its peg head. Thanks to Jason's personal luthier, the guitar was repaired without any lasting damaged. The guitar bears Jason's trademark signature logo on the side. With Honeyhoney she plays an Antique Natural model. It's the best acoustic instrument that i played.